A Backwards Progress - Homestead Edition: How many hoes do you know? How many hoes do you know? The hoe that I've been gardening with for the past few years is missing its entire handle. Since I've changed the orientation of my beds this year, a handle-less hoe will no longer do the trick for weeding, so I was going to buy a new one. I asked my boss, aka Farmer Jim, what he recommended and got a lesson in hoe diversity. AND he generously gave me two hoes that he didn't need on the farm! The one on the left is called a crescent hoe. 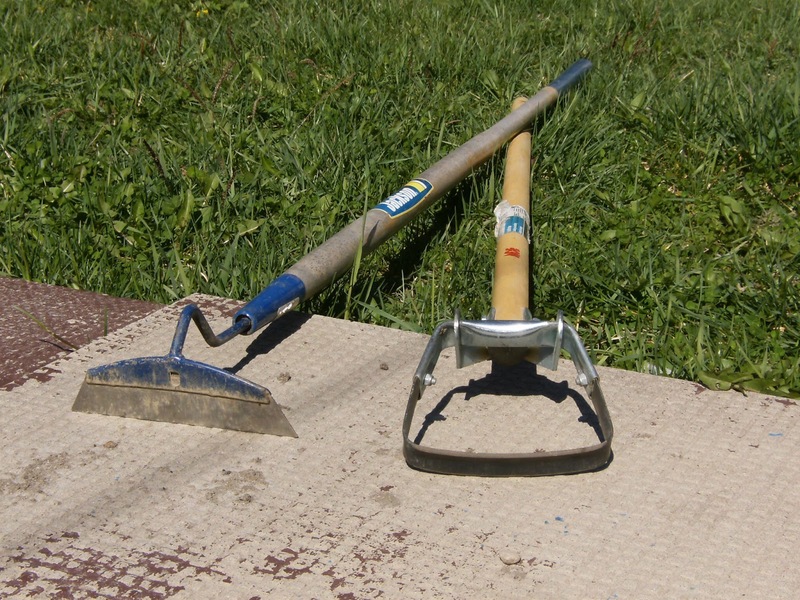 The one on the right in the photo below is called a stirrup hoe. It's sharp on both front and back edges and the "stirrup" wiggles back and forth an inch or two. This is how you work it, wiggling it back and forth in the soil to chop the weed tops off, and disturb the roots of smaller weeds. I spent the better part of Friday weeding at the farm and the stirrup hoe made the work a lot more efficient and enjoyable! I also used a cobra hoe for narrower spaces between rows and eventually I will use a wheel hoe. I also used I'm really enjoying learning about tools and machinery on the farm this year!